Plasma immersion ion implantation; oxidation rate; gate dielectric; diffusion barrier; copper metallization. Many semiconductor integrated circuit manufacturing processes require high dose of implantation at very low energies. Conventional beam line ion implantation system suffers from low beam current at low energies, therefore, cannot be used economically for high dose applications. Plasma immersion ion implantation (PIII) is emerging as a potential technique for such implantations. This method offers high dose rate irrespective of implantation energy. In the present study nitrogen ions were implanted using PIII in order to modify the properties of silicon and some refractory metal films. Oxidation behaviour of silicon was observed for different implantation doses. 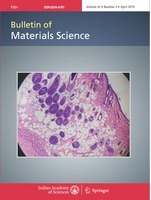 Diffusion barrier properties of refractory barrier metals were studied for copper metallization.